Mom is a gardener at heart. She’s the one who believes that singing to her plants helps them grow better. She takes care of her garden just like it was one of her kids. 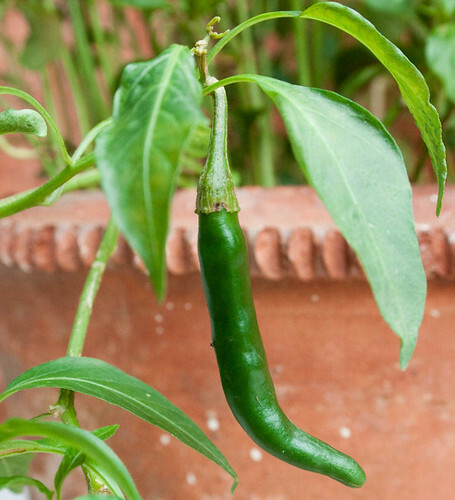 The recent attraction in her little garden has been this really attractive green mirchi [chilli]. 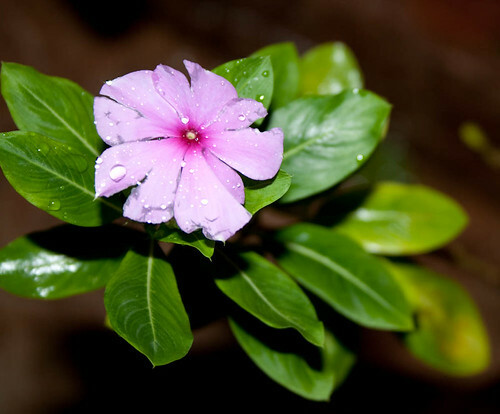 And then there are some beautiful flowers at full blossom in this lovely monsoon season. See the water droplets. 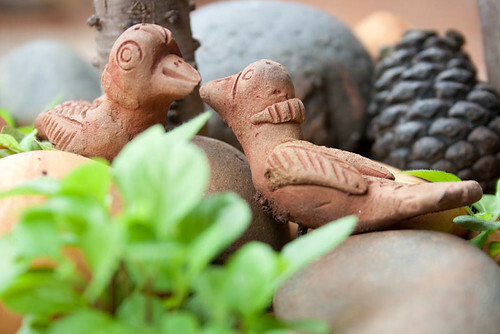 Oh, and I managed to notice some tweeters in the garden too. In conversation, we use the jargon ‘ Oh, it is not rocket science’. Obviously meaning that rocket science needs high intellect and application. Have we ever wondered how different colours of flowers and fruits and vegetables are possible from a plant or tree whose leaves are always green ! More plants more happiness and prosperity. yah..Its really very great post. nice flowers and fruits photos.i like it very much.